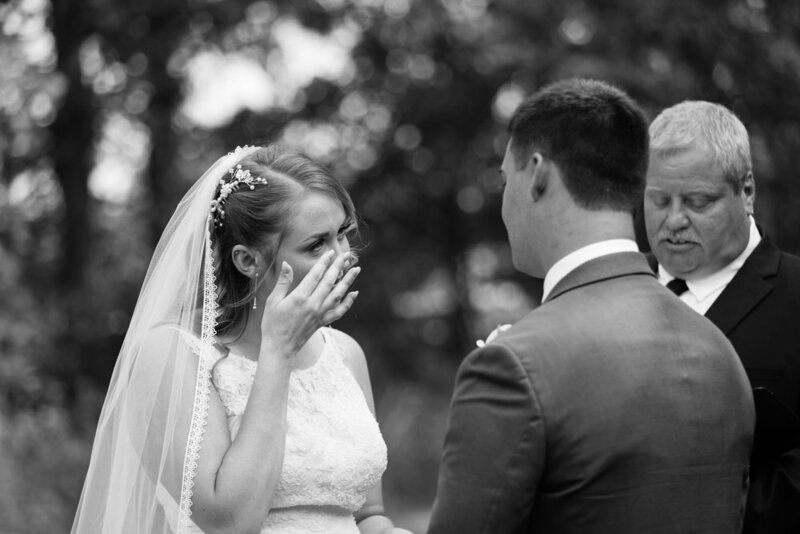 Mikala and Myles had a gorgeous summer wedding at Southwood Golf Club. 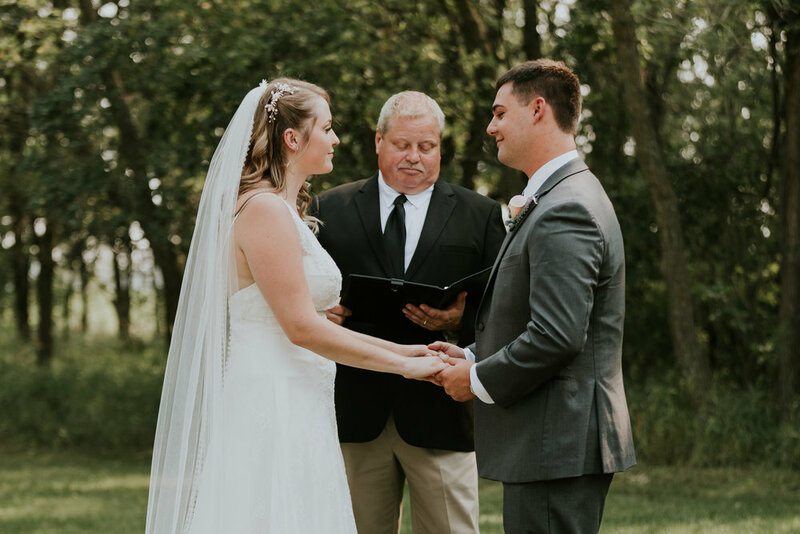 Located in St. Norbert in Winnipeg, Southwood Golf Club is a beautiful wedding venue with plenty of great locations for photos. We started the day off with some getting ready photos at the Four Points by Sheraton hotel. The guys and the ladies were both getting ready in separate rooms of the same hotel, which was awesome because it allowed me to get photos of both of them. We then headed to the golf club for the outdoor ceremony. The ceremony site was surrounded by trees and was so beautiful. After the ceremony, we headed to the St. Norbert Monastery ruins for photos with the wedding party. As a side note, It was one of the hottest days of the summer, and yet the girls’ hair and makeup stayed perfect all day (the makeup artist and hairstylist did such an amazing job!). We then headed back for dinner and the reception, which had one of the most packed dance floors I’ve ever seen (these two and their friends are a seriously fun group!). Mikala and Myles are such a great couple and their wedding was so gorgeous and personalized (how cute are those customized M&M?). I am so thankful that they had my capture their day!